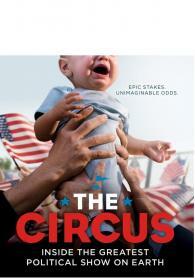 THE CIRCUS: INSIDE THE GREATEST POLITICAL SHOW ON EARTH captures the human rollercoaster of the 2016 presidential campaign. From the Iowa caucuses through the election itself, THE CIRCUS profiles the people and events that are shaping the races in real time, as they are happening. Produced in cooperation with Bloomberg Politics.